Custom home builder, Wayne Homes, has released their newest single-story floor plan, the Hanover. Uniontown, OH – Wayne Homes, an Ohio-based home builder that specializes in custom on-your-lot homes, has introduced their newest ranch floor plan, the Hanover. At just over 2,000 square feet, the Hanover has three-bedrooms and two-baths. It will be available in four different exterior styles, including the Farmhouse, Craftsman, Tradition, and Classic elevations. The most notable feature of this floorplan is the centralized kitchen at the front of the home. Other notable features include a large great room, a separate master wing with a large walk-in closet, and an office nook just off the master suite. 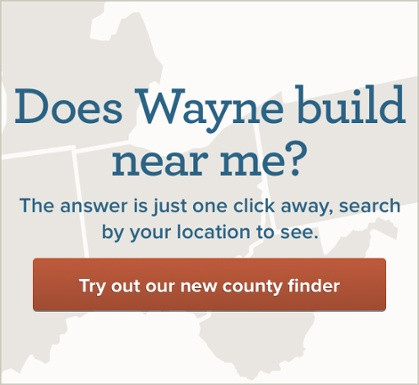 For more information about building a custom home with Wayne Homes and the Hanover floorplan, please visit WayneHomes.com.